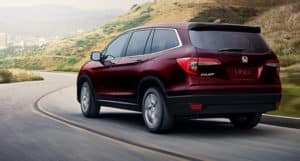 From the most rugged mountain paths to the concrete jungles of the city, ensure safe passage on all of your journeys with the new Honda Pilot. A powerful engine paired with tons of storage space makes it the ideal full-size SUV for all of your adventures in Colorado. 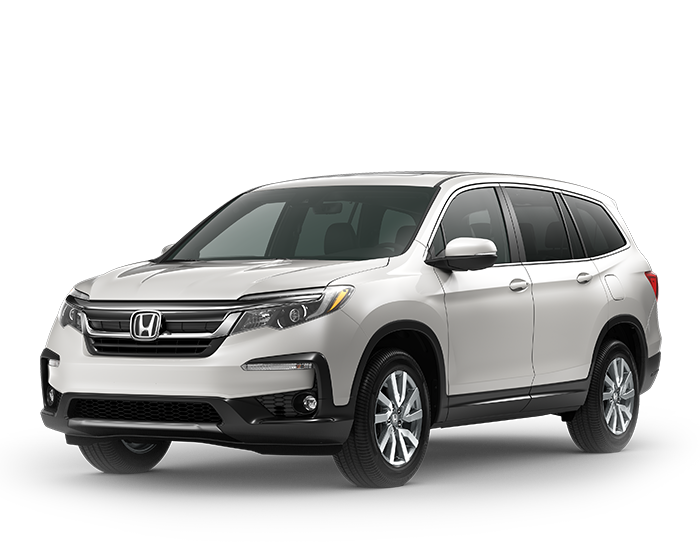 With a quick trip to Fort Collins’ favorite Honda retailer, you can see for yourself why the Pilot is such a popular choice for explorers of all kinds. 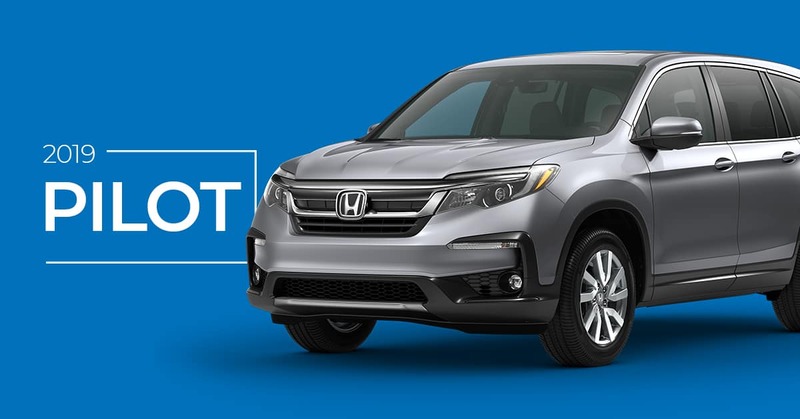 The Honda Pilot may be a family-friendly choice, but that doesn’t mean it has an anemic engine, in fact, it’s quite the opposite. The impressive 280-horsepower, 3.5-liter V-6 engine utilizes either a six-speed automatic transmission or an available nine-speed automatic. That means you’ll have the power you need to blast down rugged backcountry trails or glide past slow traffic on the highway. With the optional all-wheel drive, you’ll confidently navigate even the loosest or iciest of terrain. The power the Pilot’s engine offers you translates intuitively to the steering, which is precise and measured, meaning you can make small adjustments quickly in this big SUV. Of course, no SUV worth its salt skimps on storage. The Pilot has room to spare, with 109 cubic feet of cargo volume. 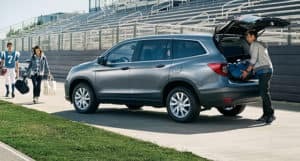 Drop the second and third rows of seats to open up the Pilot and take advantage of every inch of its cargo space. Folding the seats in a variety of ways allows you to even carry oddly shaped items, like ladders, bikes, and furniture. Passenger comfort isn’t compromised by the storage set up, however. The 60/40 split of the second- and third-row seats mean you can still bring passengers with you even as you haul all of your gear for a weekend up on the ski slopes. Storage slots and pockets throughout the cabin make it easy to bring your favorite snacks and drinks with you while you travel. With seating up to eight people, you can bring all of your favorite people with you on your next journey with the Pilot. With plenty of wiggle room in every row and an available independently controlled Tri-Zone Automatic Climate Control, your passengers can create their perfect riding environment. The second-row seats have captain’s chairs, meaning your friends are treated to first class comfort, even when they ride in the back. There’s no need to scramble over other seats to get to the third-row seats, however. With the push of a button, the second row folds over, allowing you easy access to the rear of the cabin. Leather and cloth trim options for your seats allows you to choose your ideal fabric to get comfy in. The Pilot is all about connecting you with other peoples and places. That’s why it comes with the available CabinTalk system, allowing you to talk to those in the back of the cabin with ease. The optional wireless charger keeps your smart devices ready to go. HondaLink is a subscription service that allows you to start your Pilot, unlock and lock the doors, and even book your service appointments through an app. The Pilot also makes use of the complete range of Honda Sensing systems, keeping you safe as you travel along the roads. To bring a new Honda Pilot home today, visit Markley Honda in Fort Collins. With great financing options and an on-site service department, it’s easy to own and care for your new Honda vehicle. We proudly serve communities all across the Front Range, including Loveland, Greeley, Longmont, and Windsor. Contact our sales consultants today!